NE Padlocks offer high efficiency and high security whilst maintaining the high performance and serviceability associated with Mul-T-Lock® padlocks. 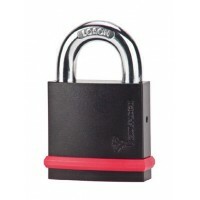 A padlock is intended to offer high security and the ability to deter break-ins. This can only be achieved if the right padlock is specified. 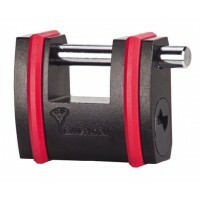 When it comes to padlocks, size does not necessarily equate with strength. 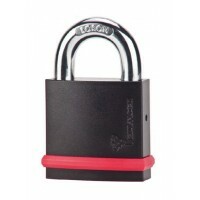 A large padlock made from low quality materials is much easier to break than a smaller, high security one. With body options offering open and closed shackle variants, and with the addition of sliding bolt padlocks, the NE series ensures that there is a high security padlock suitable for your needs. The NE series is available with all Mul-T-Lock key platforms. This opens up a range of benefits including patented key security, bespoke master key options and our innovative keyed-alike system. Patented key padlocks are supplied with a key cutting card, which will hinder unauthorized duplication of your keys. Mul-T-Lock's wide range of padlocks is able to meet the needs of most vertical markets such as Commercial Business, Contractors, Home, Auto & Sport, School & Government. 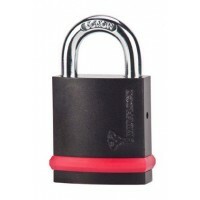 Incorporating patented innovations and meeting or exceeding the most rigorous international standards such as ASTM and CEN standards EN 12320 - Grades 4, 5, 6, - The NE-Series padlock offers the highest level of security.